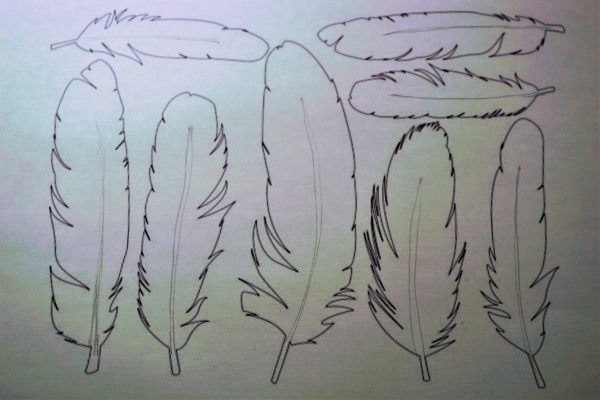 Choose a feather template and cut it out with scissors. Fold the waferpaper so that the rough side is inside. 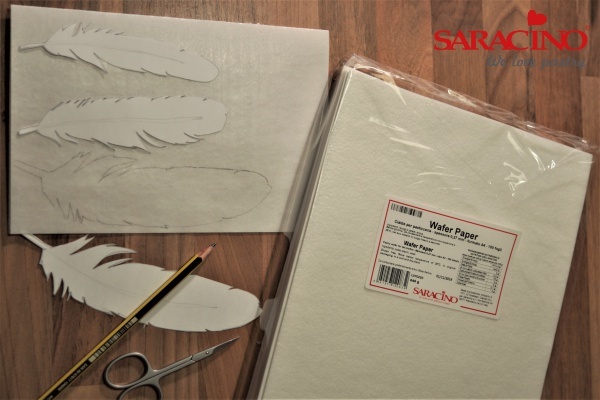 Transfer the template to the outside of the paper using a pencil. 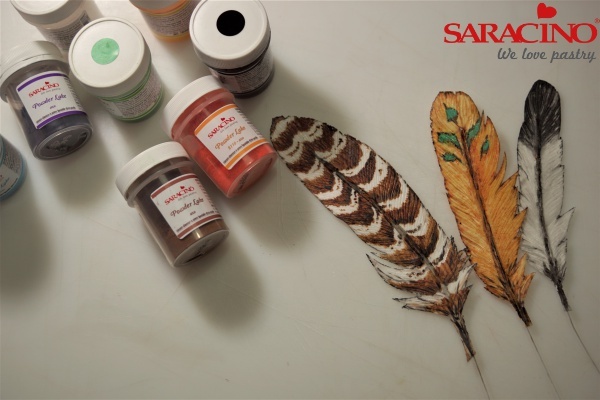 Prepare floral wire to a length suitable to fit the centre of the feathers and bend them slightly to give them gentle curvature. 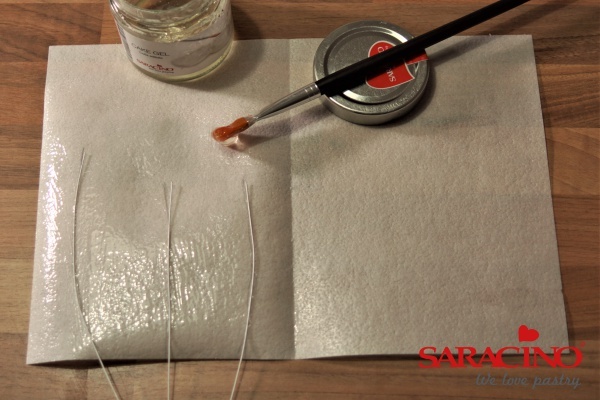 Coat the edible paper on the inside with piping gel using a large brush, then place the floral wire and fold. Give good pressure to glue the waferpaper well. 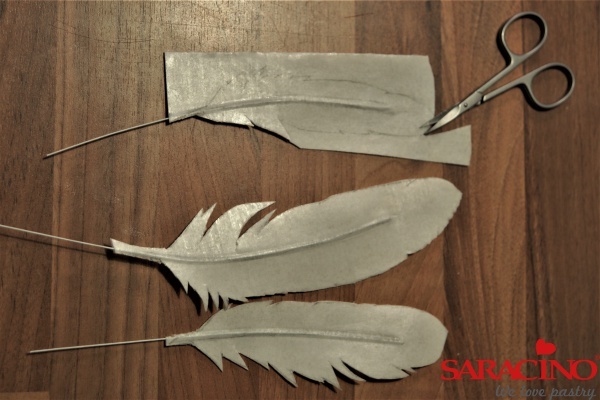 Using a dresden tool push the wafer paper over the wire to form the centre of the feather. Let it dry for several hours. 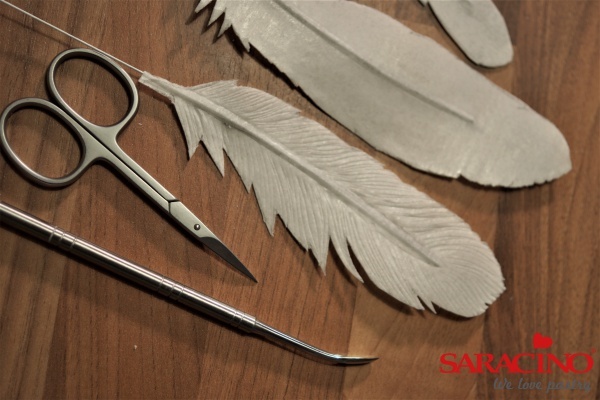 Cut out the feathers carefully with small scissors. 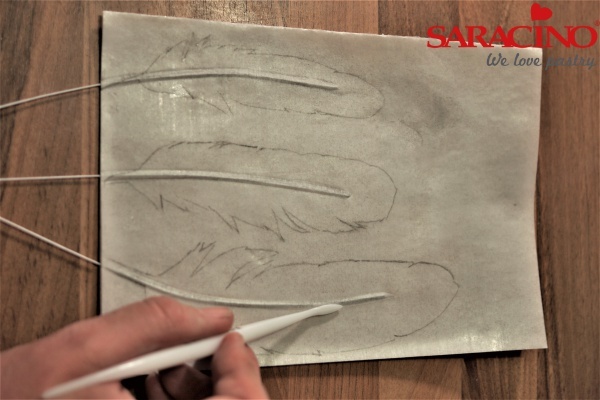 Add texture to the feather using a Dresden tool. 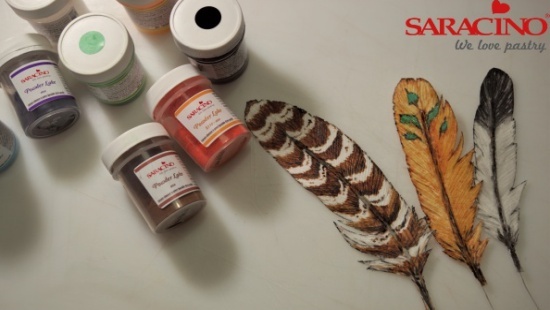 Now you are ready to paint your feathers as required. Melt the cocoa butter and mix with powder colours. 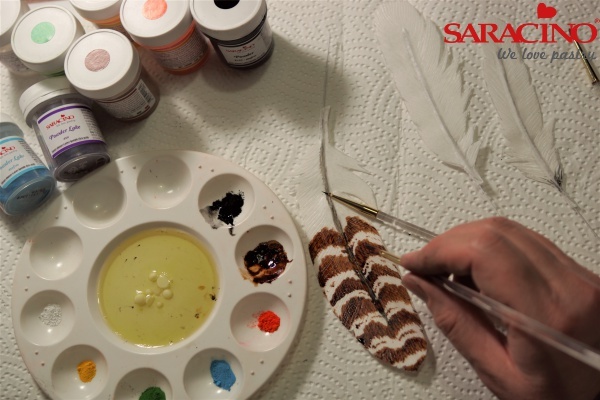 Using a thicker mixture paint the darker parts of the feather. 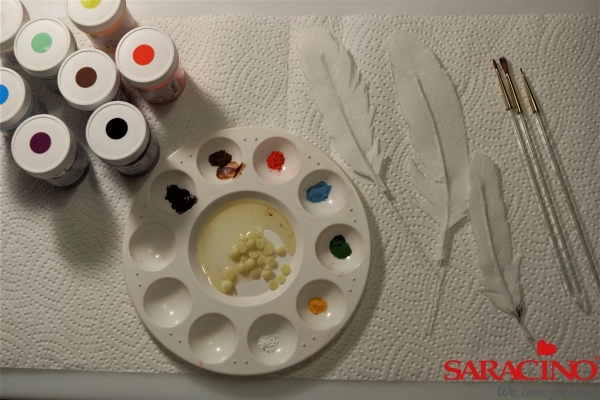 To achieve more transparent colour for the lighter sections use a thinner mix. I always start with a general base colour (thinner blend) and work with the details gradually. 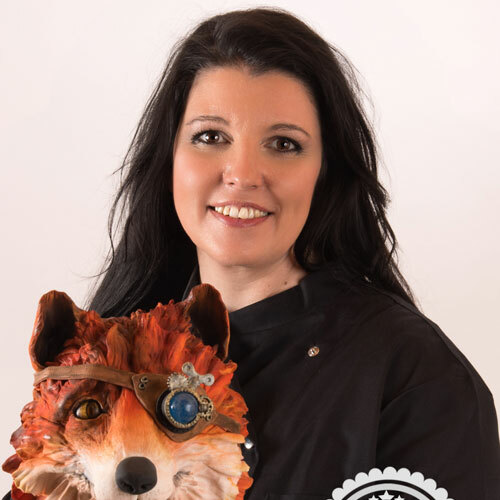 The following details are usually marked in colour and applied with a finer brush. 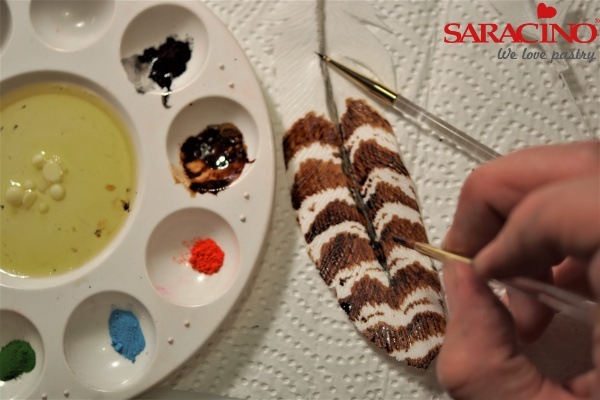 The colour scheme can be made as you wish – add a fine marking outer line around the edge of the feather.